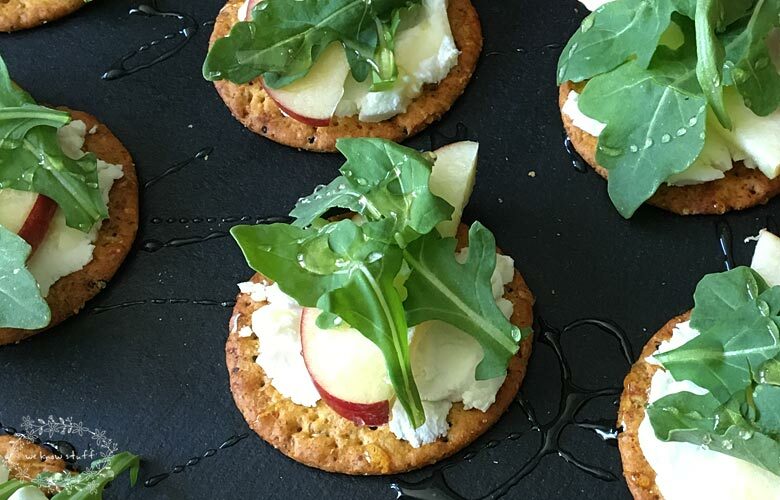 This Goat Cheese Arugula Apple Garnish is a super simple way to elevate a cracker appetizer. Full of fresh ingredients and a drizzle of honey, it’s delish! Thank you Breton for sponsoring this post. 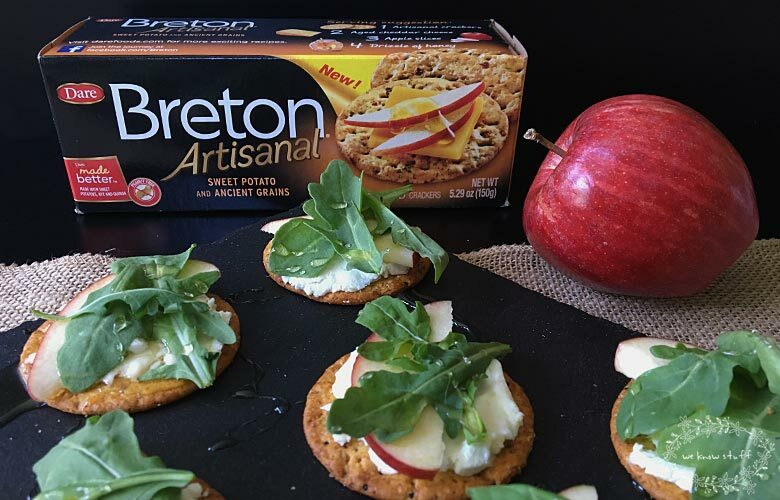 Make everyday entertaining better with Breton! Holy moly! I cannot believe that Labor Day weekend has finally come. In New York, it’s typically the final shebang before our kids go back to school. Needless to say, we like to make the most of it. Up until Tuesday, we had a great plan. We would use the extended weekend to scratch off any remaining items on the kids “Summer Fun List.” Their top picks included a day trip to Fire Island, swimming in the outdoor shark tank at the Riverhead Aquarium, and hanging out by the pool. My husband and I were thrilled with their plan and couldn’t wait for Friday to come. But then, my sister and I took the kids for a bike ride around her new neighborhood. Well, the kids rode bikes. We followed close behind walking her insanely cute King Charles Cavalier Spaniel. Seriously, that dog is just TOO much! Anyways, the kids were up ahead and we were blathering on about nothing like sisters often do when all of the sudden we heard the kids hollering up a storm. We quickly looked up to find my son crumpled in a heap on the ground with his bike on top of him. He couldn’t get up and he was hurt…like really hurt. Flash forward a bit. After a quick trip to the emergency care center, he came home with a fiberglass splint. It seems that he may have broken bones in his growth plate, but we won’t know for certain until we see the orthopedist on Thursday. Yikes! Needless to say, our water-based weekend activities might not happen. So, we’re planning for the worst and hoping for the best. This means that we’re coming up with Plan B for the holiday weekend. As I scramble to put something together that’s “even more fun” than swimming for my water rats, I decided we would take advantage of the cooler temperatures and try some fall-based activities instead. Maybe we’ll do the Insect Interaction at the Aquarium, then ride up to Port Jeff to get some gourmet cheese from our favorite cheese monger, and then spend the rest of the time hiking, picnicking, and eating cheese and crackers! Yeah, baby! 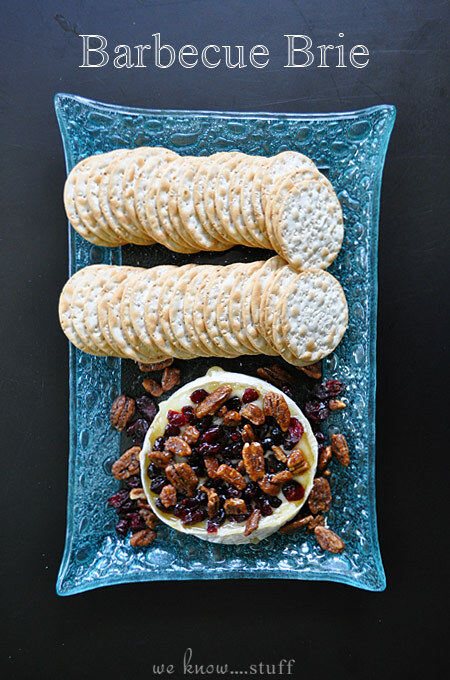 Speaking of gourmet cheese and crackers, do you know how much I love them? I almost love them more than coffee – and that’s saying a lot. I have a mad crazy crush on goat’s cheese, so I tend to use it often. It pairs so well with so many things like arugula, apples, and sweet potatoes! That’s why I used it on this easy to make appetizer recipe. 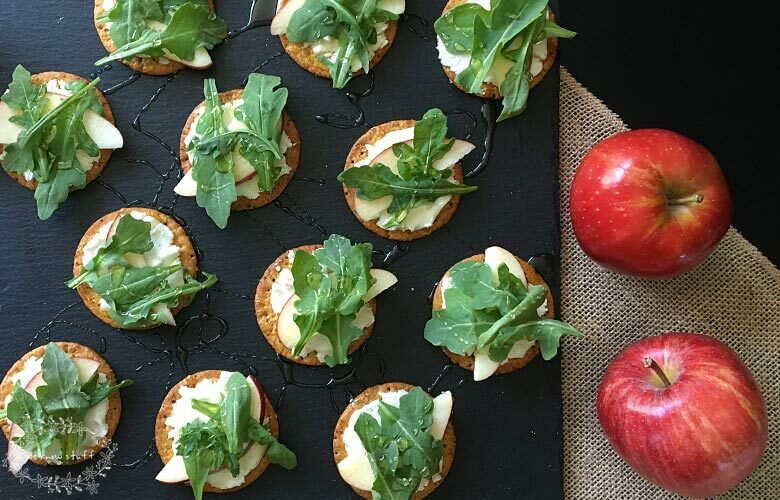 This Goat Cheese Arugula Apple Garnish is a super simple way to elevate a cracker appetizer. I like to use better for you crackers like Breton Artisanal Sweet Potato and Ancient Grains. 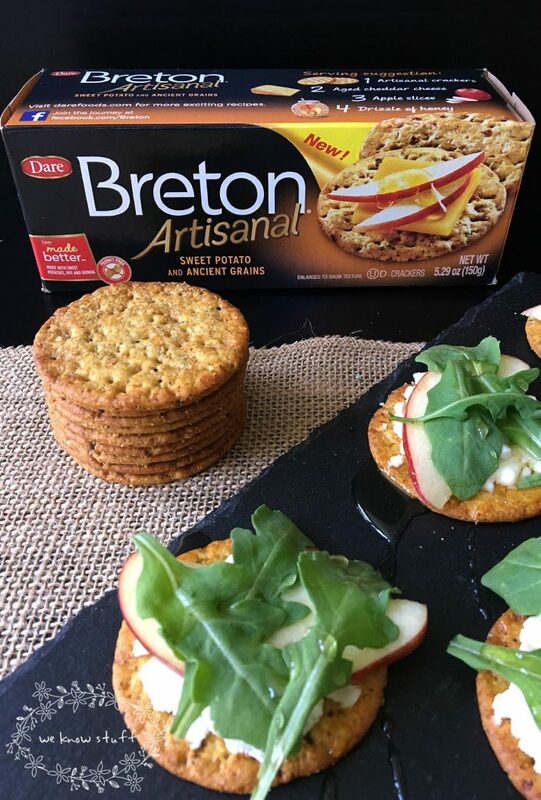 Breton offers a variety of flavors and textures to suit every palette and with wholesome, real ingredients like rye flakes, quinoa, dried sweet potatoes, and dried apples, they make my belly happy. Full of fresh ingredients and a drizzle of honey, this Goat Cheese Arugula Apple Garnish will become your new simple solution for a quick, easy snack that everyone can enjoy! 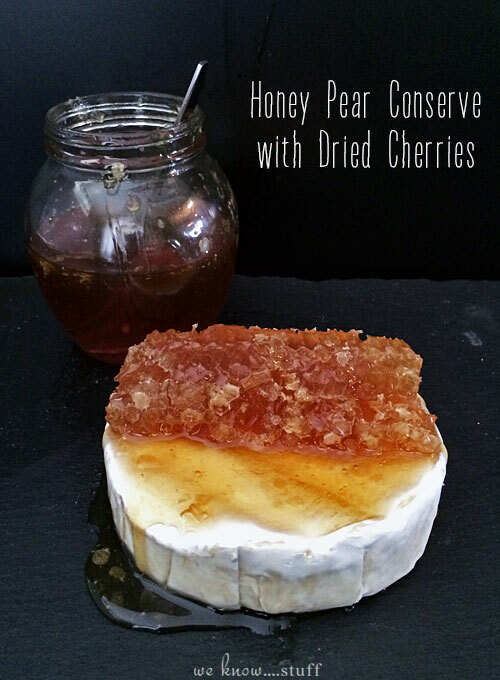 Even though I prefer hard cheeses, this recipe worked equally well with soft goat cheese too! Step 1) Lay your crackers out somewhere – on a plate, in your hand, on your picnic blanket, whatever. This isn’t a fussy recipe. 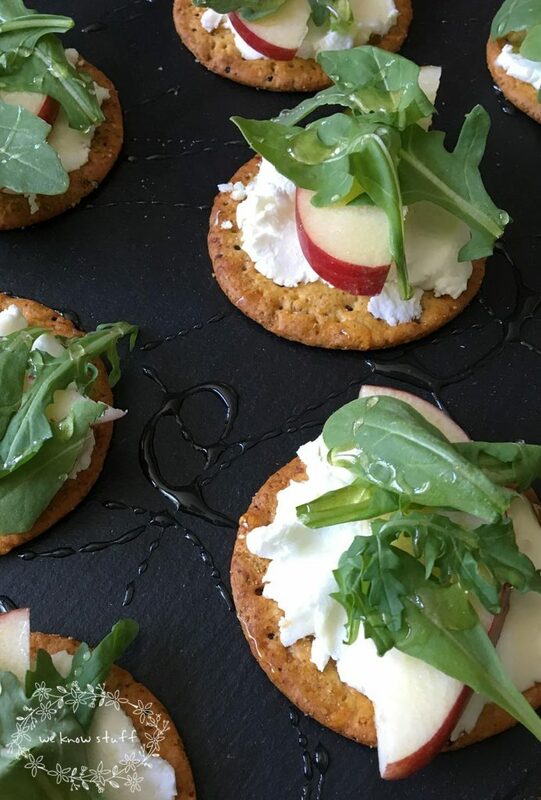 Step 2) Layer your crackers in the following order: cracker, goat cheese, apple, and arugula. Drizzle honey on top. Put in mouth. Repeat and enjoy! What’s your favorite cracker topping? Let us know in the comments below or tag us on Instagram @weknowstuff! 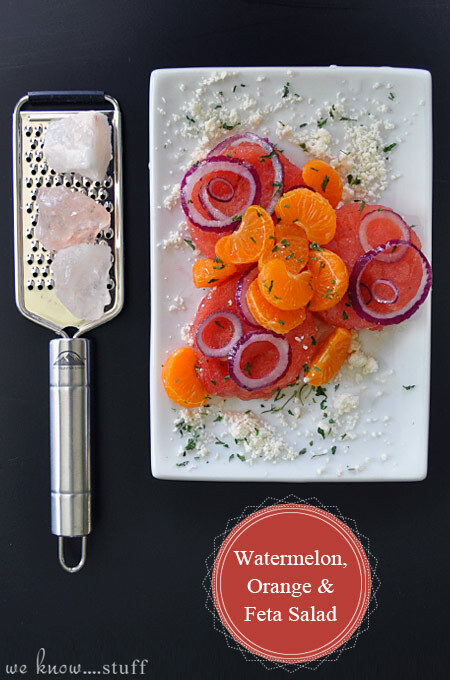 Want more easy appetizer recipes? Look no further!